Leading renewable energy consultancy and service provider, Natural Power, has acted as technical advisor to London headquartered Cubico Sustainable Investments (“Cubico”) for the refinancing of its UK renewables portfolio which is comprised of 17 onshore wind farms and solar photovoltaic (PV) projects. Natural Power carried out technical due diligence services on all 17 operational wind and solar farms across the UK, including an assessment of the projects’ long-term energy production and the benefits gained from a geographically and technologically diverse portfolio. The project has recently been announced as a finalist in the 2019 British Renewable Energy Awards – shortlisted in the Financial Leadership category which recognises projects that have accelerated the deployment of renewables in the UK. Cubico is one of the world’s leaders in providing renewable energy, and it covers the whole energy chain from development and/or construction to operation and management. 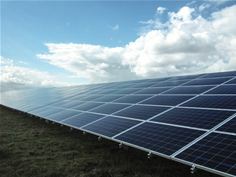 With a strong foothold in nine countries (UK, Ireland, Spain, Italy, Portugal, Brazil, Mexico, Uruguay and USA), its portfolio includes onshore wind, solar photovoltaic and solar thermal, and has an installed capacity of over 2.6GW - generating enough clean energy to power more than 1.5 million homes.